Facebook is generally one of the most anticipated tech earnings in the industry. While the company has been online for more than ten years, there are still investors who love to hate it and find any reason they can to short it. Earnings per share of $0.50, a 16.3% increase year over year and a beat on analyst estimates by $0.03. Total $719 million in net income. Revenue of $4.04 billion, beating the consensus by $50 million and up 38.8% from this time last year. Monthly active users (MAUs) rose 3% quarter over quarter and 13% year over year to 1.49 billion. Revenue growth is down 39% and will continue to decline throughout the year, while expenses were up 82%. Breaking down Facebook’s results from the top to bottom, this is overall great news. The company is delivering on its advertising initiatives and is still turning an impressive profit in spite of a huge spike in costs. Wall Street’s issues are boiled down to two things: Revenue growth is decreasing and expenses are increasing. But investors can’t say they weren’t warned this would happen. 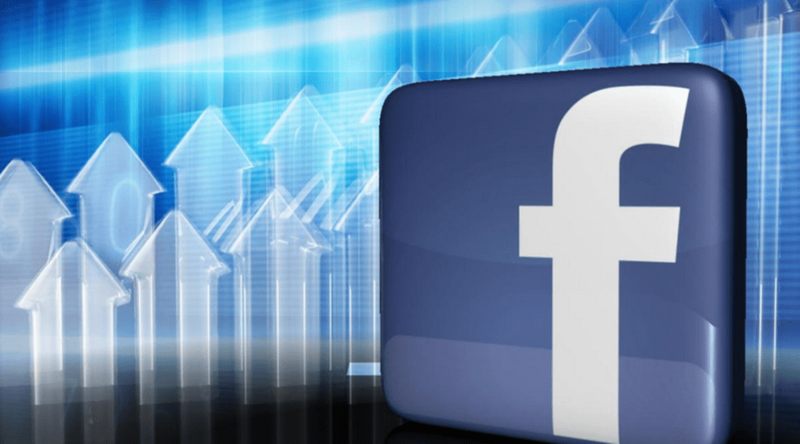 During the company’s Q3 2014 earnings call, CFO David Wehner warned analysts that Facebook was preparing to increase its expenses by 55% to 75% in 2015. Wall Street reacted negatively, even though the warning was a sign that Facebook would use that money to invest heavily in flagship products like Instagram, WhatsApp and Oculus. For all intents and purposes, what investors say as “negative news” should have already been priced in. The idea of slowing revenue growth also should have already been priced in to Facebook’s shares. It’s common knowledge that Facebook’s biggest threat is plateauing in user growth, which would put a squeeze on revenue growth. According to reports, half of the world’s internet users visit Facebook at least once a month, so while there’s still a big piece of the pie left, it’s going to take more work to get it. These are trends that investors already know about. This isn’t news. The second thing is the purpose of the 82% spike in expenses — the company is investing in its future before revenue concerns become real problems. I don’t see a problem with this, especially because Facebook is sitting on at least three gold mines in Instagram, WhatsApp and Oculus. Obviously, things are moving slowly on monetizing Instagram and WhatsApp because Facebook wants to keep the integrity of the platforms intact, but the company has already begun toying with ads for Instagram and will continue to increase engagement there. By every point of discussion, there’s no reason to think that Facebook won’t continue to make gobs and gobs of money. I also find it interesting to see the same type of activity to the extreme at Amazon — exorbitant costs and decreasing revenue — yet investors are all over the stock because of its potential. While the two companies have very different business models, the idea is the same. Facebook’s management team is investing in its future to prevent the revenue growth problem from becoming a major threat to the company’s bottom line. This year already, Facebook has churned out some great business ideas to keep innovation going, including a lite version of its Facebook app to appeal to emerging markets where people have less data storage, Instant Articles and Messenger payments. Over time, I have no doubt that the company will continue to release solid developments that will not only increase user engagement and attract new users, but will have a positive impact on both the top and bottom line.